WestScotland.com - A huge amount of information for visitng the West of Scotland. Explore Argyll - A fantastic website with plentyful information on what to see and do in and around Argyll. Nevis Range - Check out everything that the Nevis range has to offer. West Coast Railways - The famous Jacobite steam train routes including Glenfinnan viaduct that features on Harry Potter films. 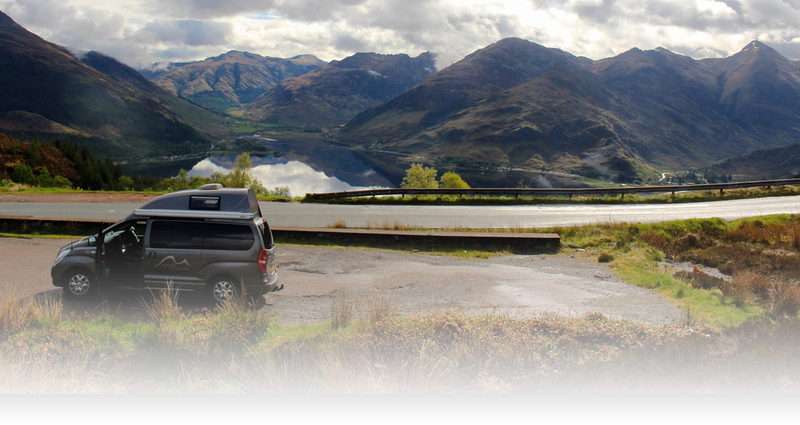 Discover Glencoe - Discover all the information needed for visiting this stunningly scenic area. Glencoe Mountain - A resort situated in an area of outstanding natural beauty on Rannoch Moor. The Ice Factor - This amazing centre in Kinlochleven boasts the world's biggest indoor ice wall and the UK's highest articulated rock climbing wall. Visit Oban - All the information on what Oban has to offer. Eileen Donan Castle - One of the most iconic images of Scotland, Eilean Donan is recognised all around the world. Applecross - Between the mainland mountain masses and the Isle of Skye lies the Applecross Peninsula. Applecross Inn - An extremely popular and very well known restaurant serving stunning fresh food. Plockton - A National Trust for Scotland conservation village, Plockton has carefully preserved its heritage. The Road to the Isles- Information on the road to the isles including the pretty fishing port of Mallaig. Gairloch & Poolewe - A beautiful area of natural beauty including sandy beaches! 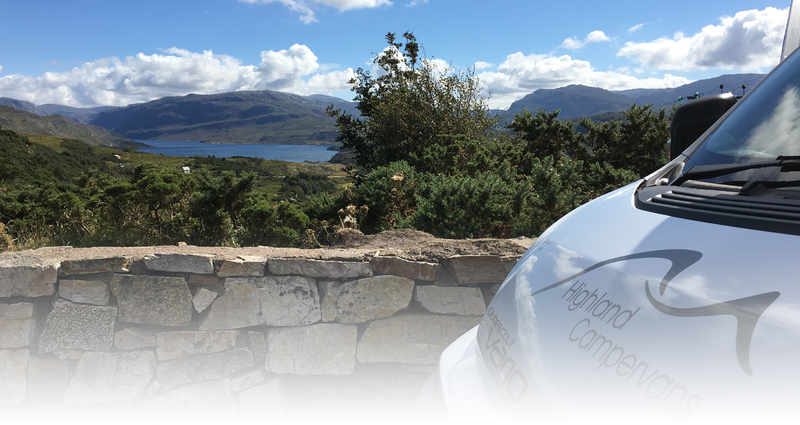 Ullapool - There is a wealth of things to do, see, taste and experience in Ullapool, Dundonnell, Achiltibuie and all around this beautiful region of the north west Highlands of Scotland. 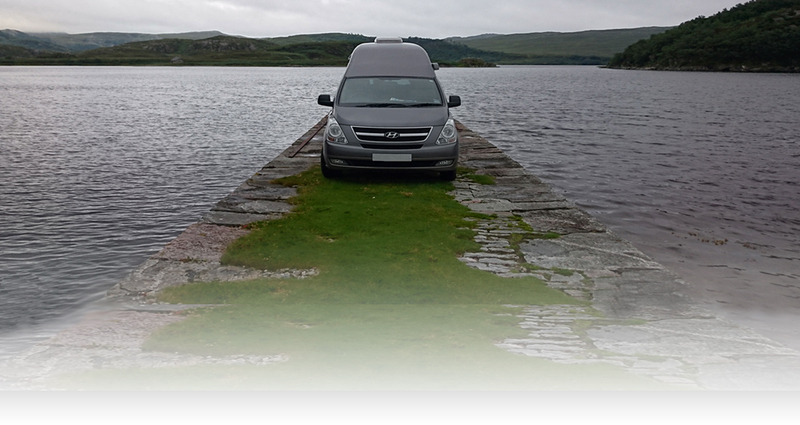 From start to finish of our holiday Highland Campervans were very helpful and professional, any query was satisfied and they give you contact numbers and cover if any problem should occur which gave us peace of mind for our journey around the highlands. We would not hesitate to recommend their services. We hope to be able to return ourselves in the coming months/years.